What started out as a small art studio for Oklahoma artist, Bill Jaxon, has evolved over the years to a gallery of beautiful art, sculptures, and one-of-a-kind MADE IN USA custom furniture pieces for your home or office. 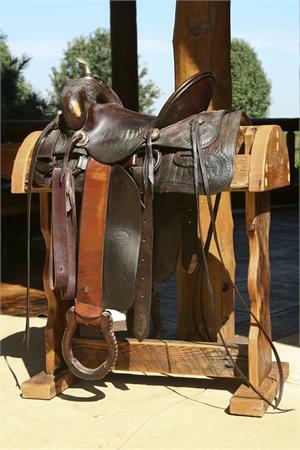 We are located in the National Saddlery store, in the heart of Historic Stockyards City! Now, under one roof, you can shop for a saddle or a sofa, a rope or a cowhide, and more. Our store is an eclectic collection of western home furnishings, art, decor and more!